reading avidly dot com: hey, American readers -- does anyone want my (FREE) extra copy of Sebastian Barry's The Temporary Gentleman? Did I mention it's free? 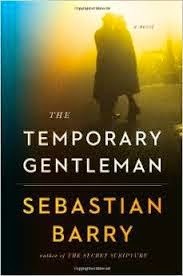 hey, American readers -- does anyone want my (FREE) extra copy of Sebastian Barry's The Temporary Gentleman? Did I mention it's free? Somehow I bought two copies of the same book. Neither of them have been read, so they're in perfect condition. If you would like to give my extra copy of this book a home, and you live in the US, it's yours. Totally free, no catch -- I will even pay postage. Just be the first to comment on this post here at the blog, and it's yours. Someone needs to take it! Thanks. Yay! I found a home for this one!